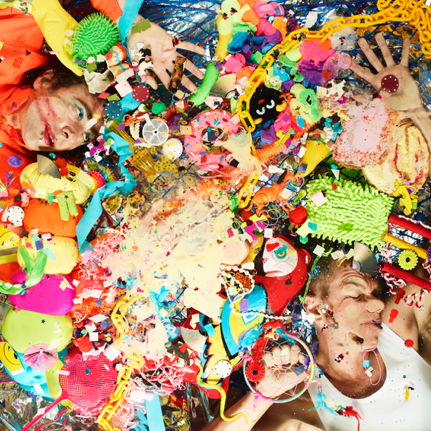 Australian electronic dance luminaries THE PRESETS – Julian Hamilton and Kim Moyes – unveil their highly anticipated fourth studio album HI VIZ today. Featuring the singles “Do What You Want”, which featured in triple j’s Hottest 100 songs of 2017, classic dance floor filler “14U+14ME”, and “Downtown Shutdown”, which is currently triple j’s most played song of the week, HI VIZ is destined to enhance The Presets’ already formidable reputation. THE PRESETS’ are credited as producers on the album, while most of the record has been mixed by John Hanes who created the classic mix of “Uptown Funk”, as well as working more recently with the likes of Sia, Bruno Mars and Major Lazer. Apocalypsocollaborator Scott Horscroft also mixed several HI VIZ tracks while Flume engineer Eric J mixed “Beethoven” – the pair’s nod to their Conservatorium years. The release of HI VIZ will be followed by a national tour across June. Commencing in Perth on June 13, it heads to Adelaide, Melbourne, Canberra, Wollongong, Sydney, Brisbane, winding up on the Gold Coast on June 29. Both Julian and Kim individually produce other artists outside their Presets collaborations, and many of the artists with whom they’ve worked make HI VIZ cameos. “Are You Here?” features the DMA’s, whose latest album was co-produced by Kim, Alison Wonderland guests on “Are You Out Of Your Mind?” while Jake Shears from Scissor Sisters adds vocals to “Tools Down”. It’s been a decade since The Presets delivered anthems like “My People”, “Talk Like That” and “This Boys In Love”. The pair had been making waves in Sydney’s clubs since forming in 2003 and signing to the influential Modular Records, but it was their 2008 Oz chart topper, Apocalypso, that first introduced them to wider audiences. That album was certified triple platinum and won them six ARIA Awards in their homeland. By contrast, 2012’s critically acclaimed Pacifica was comparatively introspective but epic gigs around the world – from Glastonbury Festival and Coachella to Splendour In The Grass – forged the duo’s reputation as Australian electronic music trailblazers.